On Sunday, I spent the rainy afternoon removing my Halloween decor. A couple bins of Fall decor came down from the attic, and all is set for the month of November. 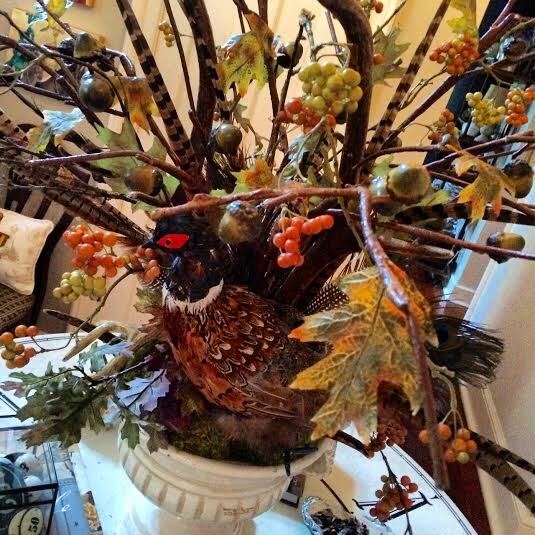 In the stair parlor, my antler arrangement was transformed with acorns, oak leaves, bittersweet, pheasant feathers, and pheasants. I can hardly believe that it is November and that Thanksgiving is upon us all. I hope you will enjoy my November posts. Loooove the vignette. Beautiful as always. Happy New Week. I love the arrangement you made for your round table! It has finally stopped raining here but is gray and cloudy now. Looks like it will be a few more days before we see the sun. 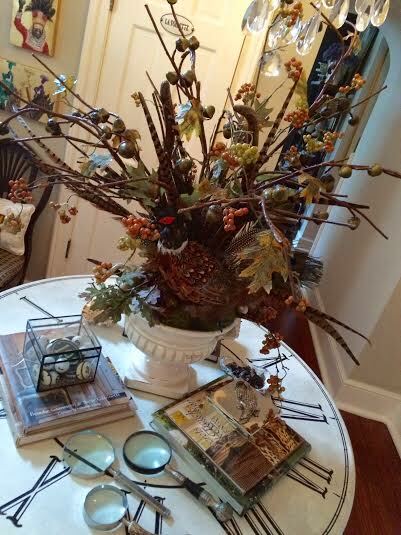 Beautiful fall details in your home, Ron. Happy November! That looks wonderful Ron! I like the branches and pheasants. I took down all Halloween on Sunday too! 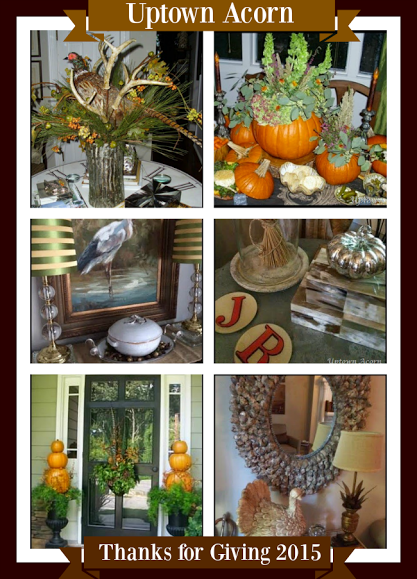 Your fall decor is beautiful!!!! 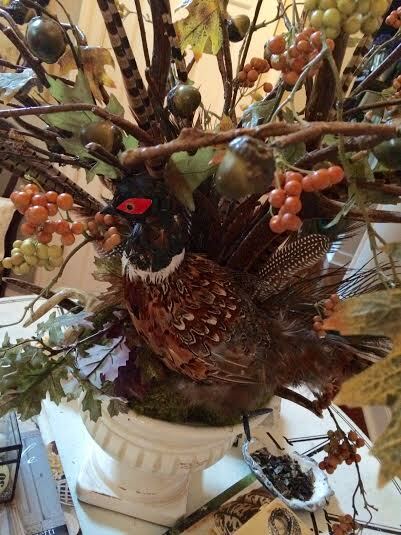 The centerpiece on the round table is stunning. Your vignette feels like fall! I love the bittersweet!